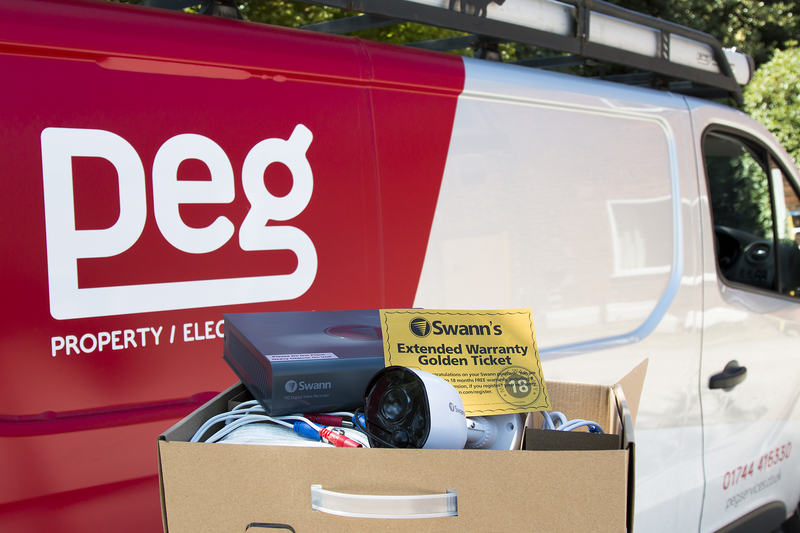 Whether you require a full property re-wire, extensions wired or additional rings added to your circuit we can help. Because all our engineers are fully qualified NICEIC installers we can provide in-house design, installation and commissioning of all our electrical packages designed around your needs. If the works form part of a larger project we can assign a product coordinator to work with your existing contractors to ensure a smooth and efficient install. Contact the team today to arrange a free site survey. As we hold full NICEIC status we are permitted to work on all aspects of domestic installation, electrical testing and even commercial property. Call the help=desk today on 01744 416330 for more information. Looking for an electrical inspection report? If you have an electrical fault, large or small we can send one of our qualified electricians, 24 hours a day 7 days a week to identify and repair the fault. If you have an electrical fault, its best to isolate that ring from the rest of the property by turning you RCD breaker to the off position until our engineer arrives. To book an appointment please contact the office on 01744 416330 or click here to complete an enquiry form and one of the team will get in touch. There a various options available for domestic and commercial customers from a simple PIR wireless alarm system to a full hosted CCTV system. We can also repair, maintain & upgrade existing equipment to suit your requirements. 24 hour emergency calls outs are available for faulty systems. Currently in the England, there is no legal requirement to have the electrical circuits checked or carry out PAT tests in residential rental properties, however this does not remove the responsibilities of landlords to ensure that their property has a working & safe electrical system. 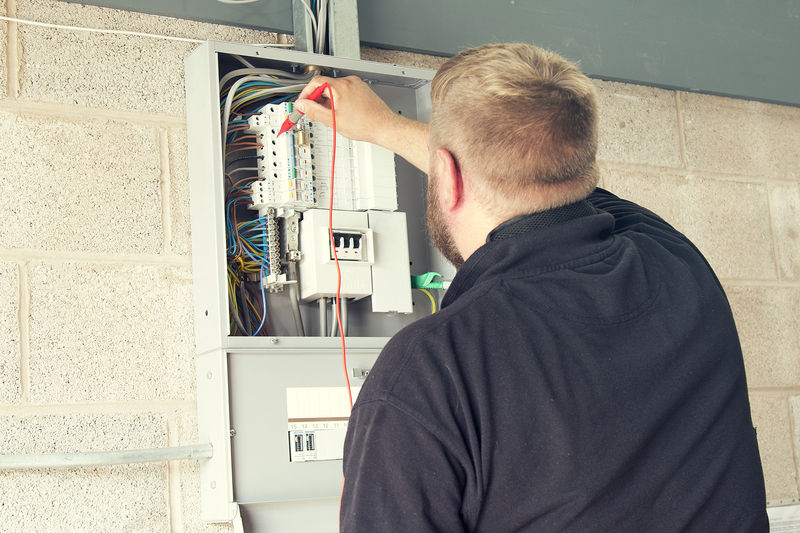 In the unfortunate event of tenants, tradesmen or members of the public being hurt or injured by a faulty electrical system the landlord is still liable for any claims or prosecutions brought. 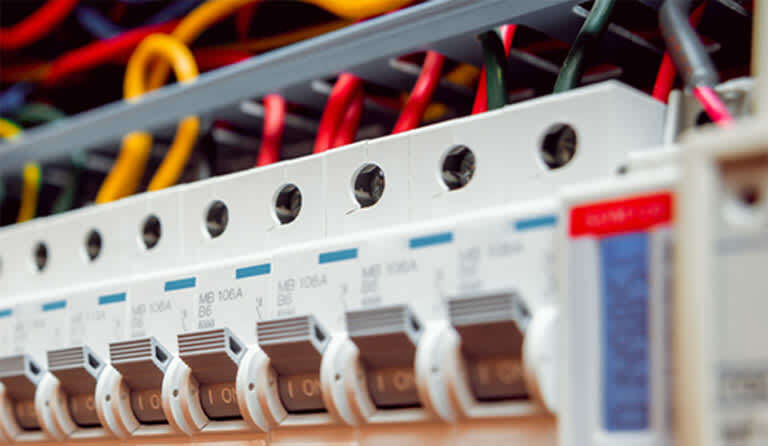 It is also worth noting that some insurance companies will not cover the cost of claim for injury or damage caused to a property caused by an electrical fault if the landlord did not take reasonable steps to have the electrical circuits or portable appliances checked by a qualified electrician. What Does An Electrical Test Cover? Tests are also carried out on wiring and associated fixed electrical equipment to check that it is safe (such as hardwired cookers, showers & fused spurs). A typical 3 bedroom semi-detached property would take around 4 hours to complete a full periodic electrical test. More complex systems take longer. Prices start at £85 and increase depending on the size or the complexity of the wiring at the property, contact the office to get a free no obligation quote to have your electrical installation checked. How Long Do Certificates Last For? There are currently no set requirements for frequency of electrical tests. Industry guidelines recommend that electrical tests are carried out every 5 or 10 years, depending on the age of the wiring installed. We can discuss the outcome of your report and give you professional advice about when your wiring should next be tested. Certificates are also securely electronically hosted in our data cloud which you can access 24/7. Do I Need To Have New Equipment Tested? How Often Do I Need To Test My Appliances? We recommend that appliances are checked annually to ensure they are safe to use and won't cause harm if they become faulty. Some appliances can be checked less frequently, a member of our team will be happy to advise you about this.